The Avg. Group Discount is 5.6%! Walk to all the exciting sights from our Hampton Inn & Suites Fort Worth Downtown hotel. Whether you're in the Lonestar State for business or fun, our location makes it easy to do it all. Great amenities, Texas hospitality and modern convenience help create a favorite hotel for travelers.Enjoy free hot breakfast in the mornings, a 24-hour Suite Shop and on-site bar (open in the evenings). Unwind in your quiet room on a clean and fresh Hampton bed® while watching your favorite shows on the 42-inch HDTV or catching up on work with free WiFi. Upgrade to a suite for more space, a sofa bed and a wet bar. 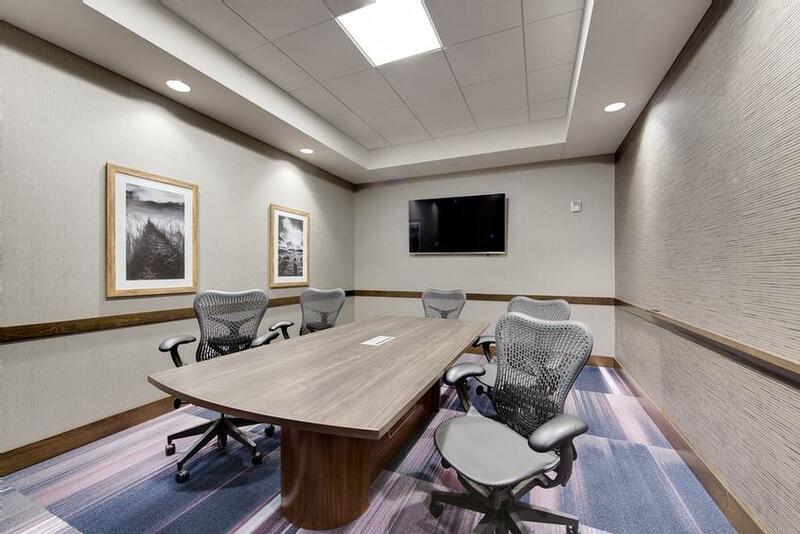 Ask our friendly team about cribs, rollaway beds and connecting rooms.Host an event in our unique meeting space with up to 2,760 sq. ft of flexible seating options. From a team training day to a social gathering, our team will help ensure your gathering is a success. Go for a swim in our heated, indoor pool and keep up with your exercise routine in the extra-large fitness center. Print out any last minute work projects in the modern business center. Indoor heated "Cool Pool" with kid friendly splash features. Pool hours 5:00am to 12:00am. 48 hours prior to the day of arrival with no penalty. Any cancellations after the 48 hour period will be charged one night's rate. Dallas/Fort Worth International AirportDistance from Hotel:25 miles30 min.Dallas Love Field33 miles45 min.Fort Worth Meacham Airport5.6 miles15 min. Local Shuttle Info: No hotel shuttle available. Self parking available on site at a charge of $20/ per night, per vehicle. Whether you’re uploading an important PowerPoint for work or watching highlights from last night’s game, you’re always connected and online withfree Wi-Fi throughout the hotel. 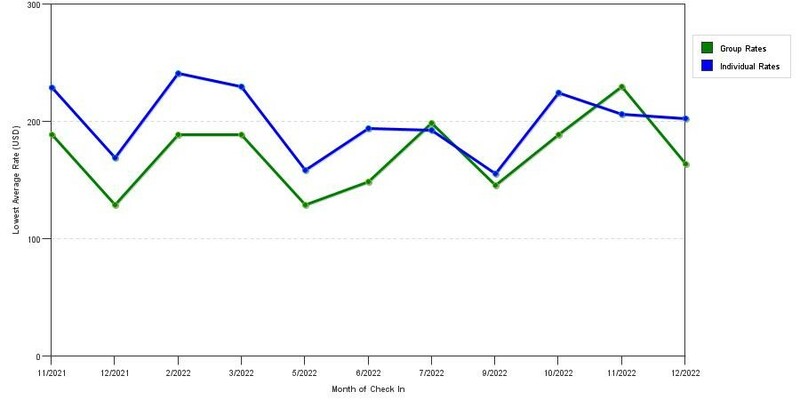 The graph above is trends of room rates for both group/meeting prices and the lowest online individual prices our system could find at the time the group/meeting bid was submitted. The most competitive group discount displayed is 14.2% in the month of April 2019 and the highest average individual rate is $218 in the month of October 2018. This chart will show past seasonality and also project future months. If you are flexible with dates, you may want to consider staying at Hampton Inn & Suites Fort Worth Downtown in a month when rates are lower. 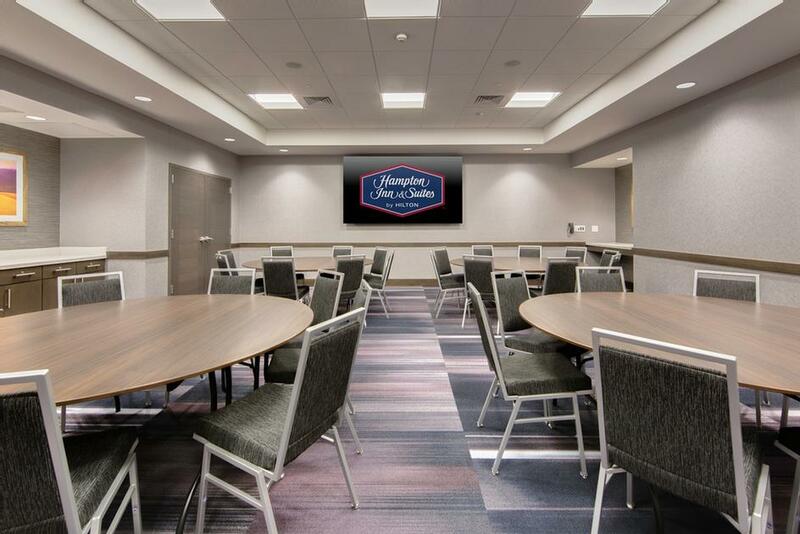 Below are the meeting, banquet, conference and event spaces at Hampton Inn & Suites Fort Worth Downtown. 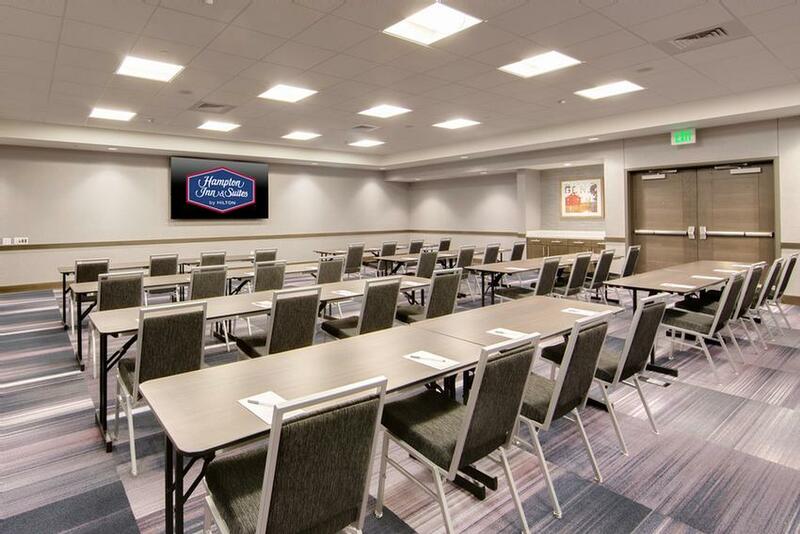 Feel free to use the Hampton Inn & Suites Fort Worth Downtown meeting space capacities chart below to help in your event planning. 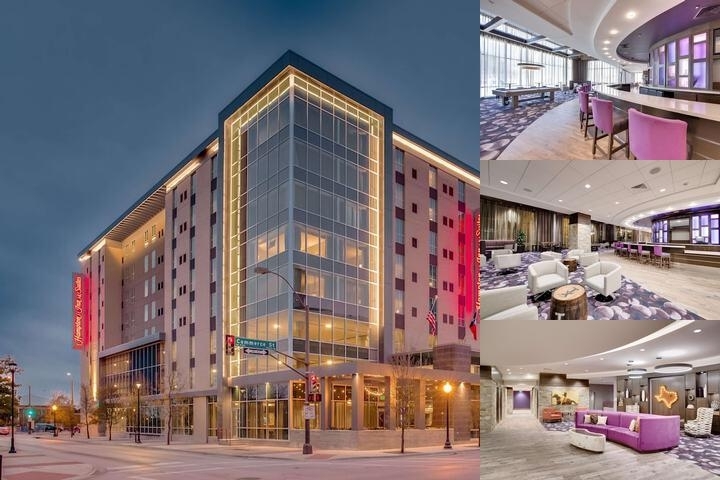 Hotel Planner specializes in Fort Worth event planning for sleeping rooms and meeting space for corporate events, weddings, parties, conventions, negotiated rates and trade shows. 35 x 38 x 10 Ft.
Meeting Room prices varies, pricing ranges up to $750.00 per day. 23 x 31 x 10 Ft.
12 x 18 x 10 Ft.